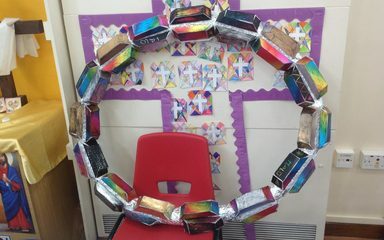 As we continue on our journey to being awarded with Artsmark for a delivery of Art across the curriculum we had a fantastic week in school to celebrate local sculpture. Each class was given a piece of sculpture within walking distance to our school and was asked to spend the week exploring this sculpture through our English lessons, Maths lessons and foundation subject lessons. This created a week full of creativity and we decided to put all the work together and invite parents, governors and our local Art officer to come along to see our work. This video is a collection of the work produced by each class.